I'm in. Looks like this thread needs an occasional 'bump' to keep this option from being relegated to the back pages of the forum. As I peruse the map that was enacted about a year and a half ago, I don't seem to recognize a full 75% of the names placed on it. Sure, I'm 99% immersed in only the X150 forum, but still..... Do we have that large of an abandonment problem? Also, there are many active members who's name is conspicuously absent.... maybe due to privacy concerns or DGAS about a map locator. I think all 4 of the pins Baton Rouge are me. I'd like to remove (except one) them but can't. It may be the privacy issue, but most likely most members don't know about it or remember it because, due to the topic turnover, it can quickly disappear from the top page. Once in the back 40, it stays there, forgotten, for long periods. Making it a sticky would be nice, but I can imagine the turmoil the privacy component would have on the forum if it appeared to "endorse" the practice. There are currently only 73 members on the map--and that's counting a couple of double entries and a triple entry--I'm talking to you 110reef! Well, 110reef, you snuck in with your confession just ahead of me! Last edited by Old Radar; 02-06-2019 at 11:31 AM. I'm in, too. I noted that, although every pin has the owner's screen name, some pins don't include the year and model of X150. The pin color tells you the year, but you're right, I need to figure out how to update to fill in the model. I think back in the first couple posts it was stated that if you don't use the ORIGINAL link created when you first register you can't change it ever. Too lazy (and busy right now) to look for it. 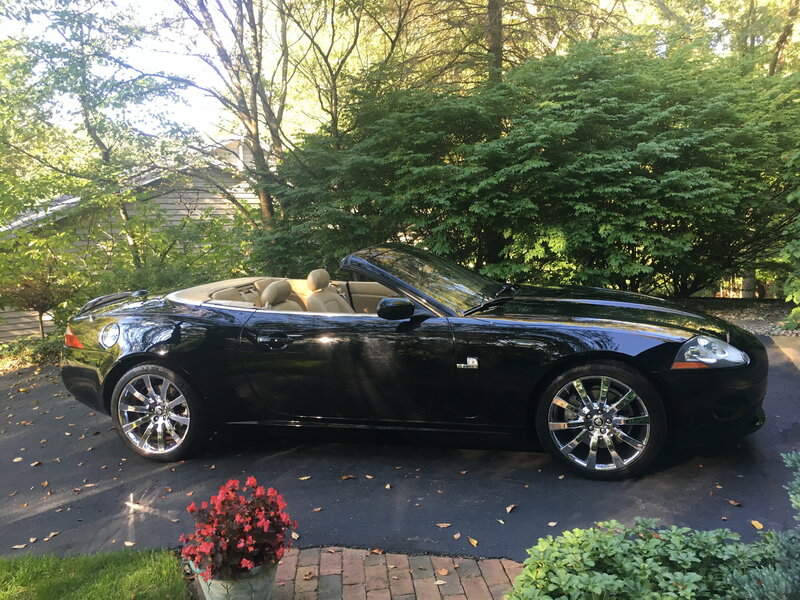 Just added my 2007 XK in Kalamazoo. Hey, well, the Jaguar dealer I purchased it from had it listed as Liquid silver. What would it be if not? awesome, so I found and checked the color code and I am Vapor Grey Metallic! I hadn't even seen that name before, only lunar gray and liquid silver. I will fix my signature now. That sux! I'll bet that many of those pins are not valid and should be removed. There should be a way for owners to be automatically contacted annually by the owner of this Map Link to validate their ownership. Who benefits from this map? Vendors. They should pay to keep it open for free. I'll gladly drop out of this map to make room for someone else. It's not worth the price of admission. Screw the greedy map owner. All of us should drop out at the same time. Let's go! I could drop off three pins and free up some space, if I knew how!